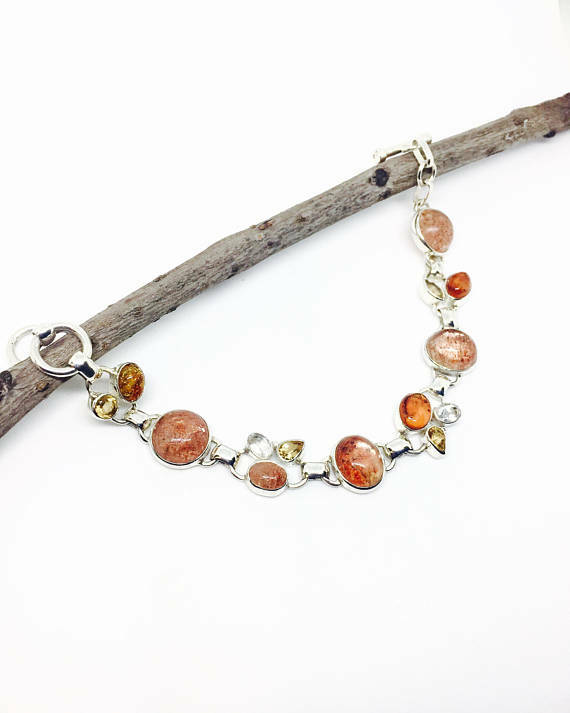 Genuine sunstone , amber, citrine and clear quartz bracelet set in sterling silver . Length- 7 to 8inch as links attached. Traditionally the sunstone is linked to good luck and good fortune.